Sheryl Sandberg, COO of Facebook, nationally syndicated speaker and author of the book “Lean In”made the news recently due to the tragic death of her 47-year-old husband, Dave Goldberg while traveling on a family vacation in Mexico. Ironically, I had been working on a story for my blog that pertained to Sandberg’s book, “Lean In,” which was published in 2013. When I originally heard about the book, my first reaction was to hate it. 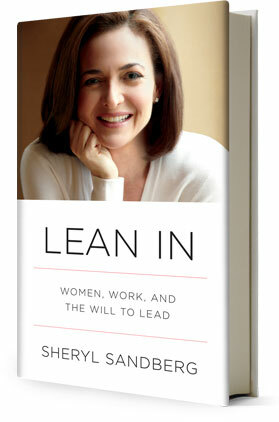 I remember thinking, “easy for Sheryl Sandberg to tell women to lean it. After all, she is the COO of one of the most successful and progressive companies on the planet.” In addition to her success at Facebook, Sandberg had previously held senior management positions with Google and the U.S. Treasury Department. She represented to me sort of the “1 percent” of most working women out there. Can All Women Learn to Lean In? Most women I have known over the years didn’t have the luxury of an ultra-high price tag compensation package or of working for a company like Facebook with progressive workplace policies & culture. Many of these women worked because they needed to support their families, put their children through school, or provide a caring home and environment for their aging parents. In other words, I didn’t particularly think her advice applied to these women — the other 99% who might feel pressured not to speak up for fear of financial or professional reprisals. At first blush it seems rather obvious and simple. Right? How hard can it be to lean in? I have found, through coaching countless female executive clients and in my own experience as a corporate executive and entrepreneur, it can be plenty hard! For many women, speaking up can still be challenging for a number of reasons. It seems that many in our society still believe that when a man speaks his mind forcefully he is being assertive, an effective leader per se. But when women speak their minds – especially in the business world — it is often perceived in a negative manner and they can be labeled the “B” word. But I gave the book a chance, and I liked it. In fact, I thought she provided pragmatic advice to women as to why we should have the confidence to do things like speaking up at a business meeting or conference when we feel strongly about something–even if we are in the minority. Instead of sitting back and deferring to those in power (often still men,) Sandberg suggests we sit forward in our chairs, lean in and speak our mind. If you haven’t already done so, I suggest you pick up a copy of the book, “Lean In.” It provides outstanding advice for women. The advice Sandberg offers is not only applicable in the workplace, but it is also in our personal lives. So when I read the story about Sandberg’s tragic loss, I realized how fleeting life is. How in an instant our lives can change. And the courage that is required of each of us when we are faced with an unkind twist of fate. Dealing with such a profound loss is perhaps one of the most difficult experiences one could imagine. So in the coming months as she processes the loss of her husband, a man she describes as “her best friend – her rock; the person who makes everything possible,” I hope that she draws upon the great advice she offers to other women. So, take some time to sit with Sheryl’s message and put some of her suggestions into practice. In addition, I suggest observing Sandberg as she works through her loss and the grieving process. I suspect she will do so with the utmost level of dignity, grace and fortitude. I suspect she will deal with this incredibly difficult period in her life by leaning in. This entry was posted in Inspiration, Leadership and tagged leadership. Bookmark the permalink.